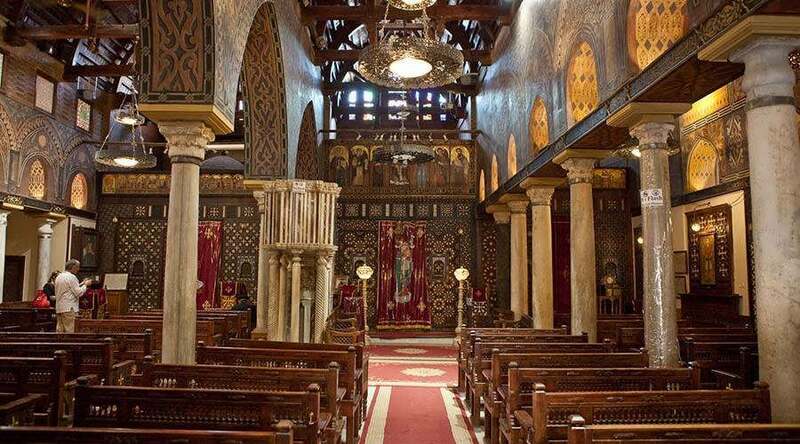 Explore the beauty of Cairo; witness all the amazing history of Cairo tourist attractions. Cast your eyes on the incredible Egyptian Museum, the glorious Giza complex that contains the three pyramids and the great sphinx, behold all the artifacts and attraction of the Fatimid and Ottoman Empires such as Khan El Khalili, Salah El Din Citadel and many more. Here are some of our Cairo day tours if you are already in Cairo and prefer to visit Cairo tourist attractions, you can choose the journey is suitable for you, or want to spend a vacation in Egypt, then our Egypt tour packages and Nile cruise include wonderful experiences in Egypt, check it now! Enjoy Pyramids tour from Cairo to explore ancient Egyptian history in the first capital in Egypt "Memphis" which dates back to 3100 B.C. Cairo (Al Qahirah) means “The Vanquisher” as it is one of the few cities in the world that was able to stand the test of time. Cairo is known of course of being the capital of Egypt and the city’s metropolitan area is considered one of the largest cities in Africa, the biggest in the middle east and the Arab world and the 15th largest city in the entire world. It is located on the lifestream of Egypt the Nile River, 135 km west of the red sea and 160 km inland from the Mediterranean and in its heart the famous Tahrir square and the extraordinary Egyptian Museum in one of the best places to visit in Cairo that holds the unbelievable amount of artifacts and antiquities dating back to the 26th century. The climate is usual as Cairo enjoys eight months of summer and four months of winter. 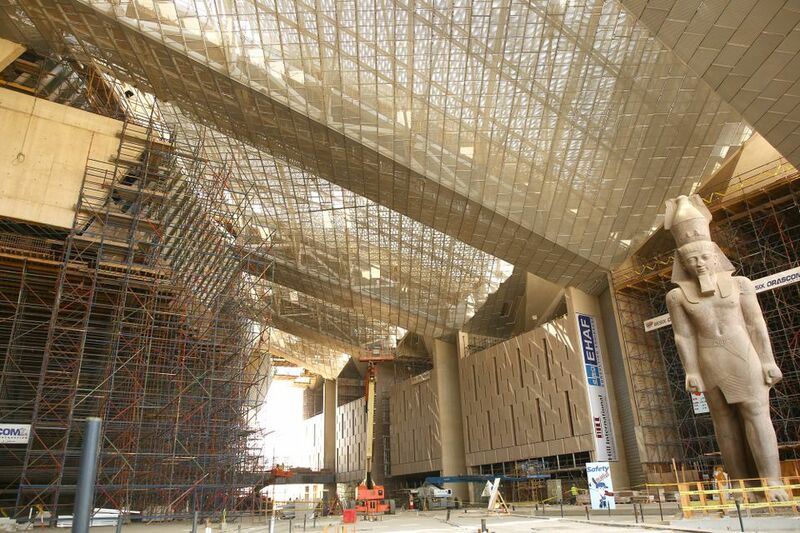 It is also the headquarters of the government, the center for all sectors of financial control and economic production and the home to the biggest mass media Centre, film & music industry in the Middle East, artistic institutes, cultural centers,Museums, sports clubs and universities in addition to the population of 9 million people covering 3,083 sq km which leads to an unstoppable stream of constant activity. How Cairo Came To Be? Cairo history goes back 5,000 years to the city of Memphis, one of Egypt’s ancient capitals and one of the most important Cairo tourist attractions, which is 24 km southwest of Cairo, there is also not far away the Giza pyramid complex that can’t be missed during your Egypt tours, they hold two of the world’s seven wonders which are the Sphinx, and the Great Pyramid. The modern city that we know today can be traced back to the roman 2000 years back when they took over Egypt and constructed fortress called Babylon which was the center of the Orthodox community during the Coptic era in the late 4th century, that’s why all of Cairo’s Coptic churches are located in the same era along the fortress walls of Babylon like the hanging church and many others, that you can explore through our Cairo day tours. In 641 B.C, The Islamic capital Al-Fustat was constructed by the conqueror Amr Ibn Al-As north of Babylon, many dynasties added many constructions north to the city of Fustat like Al-Askar in 750 BC by the Umayyads and al-Qatai in 870 BC by Ahmed Ibn Tulun who also built a mosque by his name in 878 BC which is also one of the most important Cairo tourist attractions. In 970, a general by the name Jawhar from the Fatimid dynasty conquered Egypt and establishes a new city called Al Qahirah northeast of the current settlements and in that dynasty, the magical Khan El Khalili bazaar was constructed and it’s highlight of Cairo tourist attractions that you can visit during your Egypt travel packages to buy some memorized artifacts from their. When the city of Fustat went in flames in 1168 in a battle against the crusaders, which led Al-Qahirah to be the official capital of Egypt. Over the years, the rebuilt city of Fustat and all the surrounding settlements were known as old Cairo and in the 11the century the first sultan of Egypt transformed Cairo into an imperial metropolis and constructing his famous salah El-din citadel. 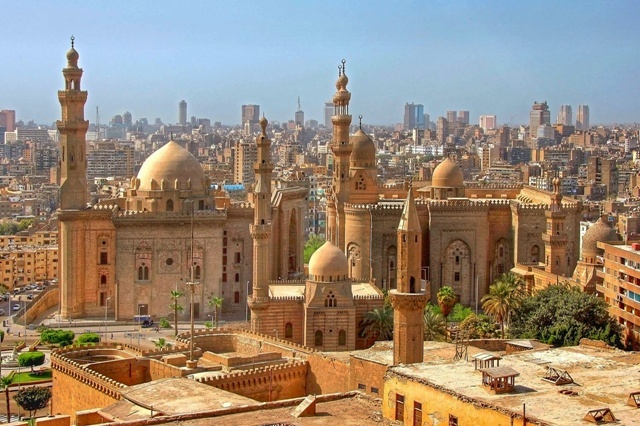 In 1340, Cairo became the biggest city in Africa, Asia Minor and Europe and a center of Spice trade and Islamic studies as Al-Azhar university was constructed to be one of Cairo’s greatest architectural masterpieces on the hands of the Mamluk dynasty. In 1805, Egypt became under the control of Muhammad Ali Pasha who freed Egypt from the Ottoman empire and sought to drive the country into the modern era. He saw the true potential of Cairo as he built many public buildings including Mohammed Ali Mosque which is a big landmark of Cairo tourist attractions that you can visit it during your Egypt private tours, even his grandson Isam’il Pasha (1863-1879) constructed many maidens, avenues and a modern area called downtown Cairo influenced by Baron Haussmann’s renovation of Paris. From the 1950s till now, the path of development hasn’t slowed down as new cities, and projects are still built every single day while facing all the typical problems may face like expanding the population, transportation, and infrastructural services but never still Cairo will forever be the essence of Egypt.